Browse the table below to view a variety of park home and holiday lodge manufacturers. For over four decades, we have been building exceptional quality hand-crafted holiday homes that generations of British Holiday Makers have enjoyed as their home away from home. Combining a founding joint venture with over 40 years’ worth of experience, the Prestige Homeseeker Group has gained a tremendous amount of respect and recognition from the start. Red Rose is a family business based in Morecambe, a town traditionally associated with seaside holidays and caravans. 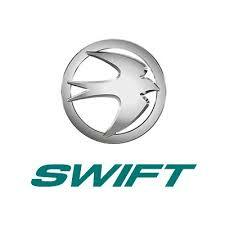 Swift is the UK’s largest manufacturer of touring Caravans, Motorhomes and Holiday Homes. The Group has a turnover of over £200m and recently celebrated its 50th anniversary. All of our homes and lodges are built to residential standard BS 3632:2015. This means they are suitable for residential use throughout the year and are built to last at least 50 years! All homes and lodges built to this standard are required to be energy efficient and also come with a long-term structural warranty giving you peace of mind. Combining a founding joint venture with over 40 years’ worth of experience, the Prestige Homeseeker Group has gained a tremendous amount of respect and recognition from the start. Prestige Park & Leisure Homes was launched in 2007 and has now established itself as one of Europe’s largest and most successful manufacturers of park homes and leisure lodges. Since then, we have acquired Homeseeker Homes to expand our portfolio and further cement our position in the industry as market leaders. Intelligent designs, second-to-none craftsmanship and ground-breaking creativity have built us an enviable reputation. We ensure that you as potential home owners are guided through this incredible journey at your own pace. 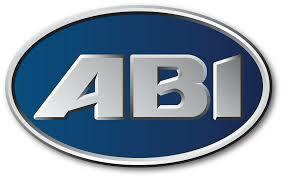 Our support continues, as we collaborate with you until the very end with a distinguished aftersales service which is highly praised. The secret to our longevity comes from our ability, through experience and craftsmanship, to build residential park homes and luxury holiday lodges which are customer focused in design and value. All of our park homes are built using modern materials and design technology whilst hand-built in the traditional way to coach-building methods and values. Whether it be one of our residential park homes or luxury holiday lodges, modern living which is comfortable, spacious and practical is just a simple step away. Swift is the UK’s largest manufacturer of touring Caravans, Motorhomes and Holiday Homes. The Group has a turnover of over £200m and recently celebrated its 50th anniversary. The Group has gone from strength to strength in recent years and the workforce has grown to over 1,080 employees. Our head office is based in Cottingham, East Yorkshire and we also have sites at Hedon Road in Hull and Mexborough in South Yorkshire.